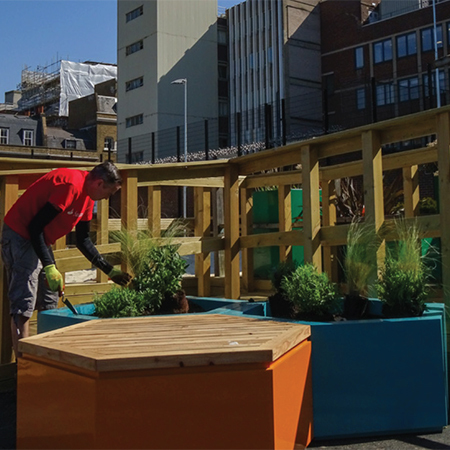 MEDITE SMARTPLY provided their MEDITE® TRICOYA® EXTREME panels to create hexagonal planters for Marlborough Sports Garden, London Bridge. 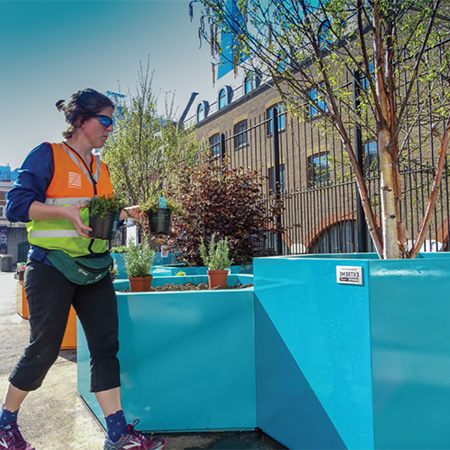 Some may recognise these planters from this year’s Ecobuild exhibition back in March, where they made up a ‘pocket park’ designed by The Edible Bus Stop, an award-winning landscape architecture and design consultancy, in partnership with MEDITE SMARTPLY. 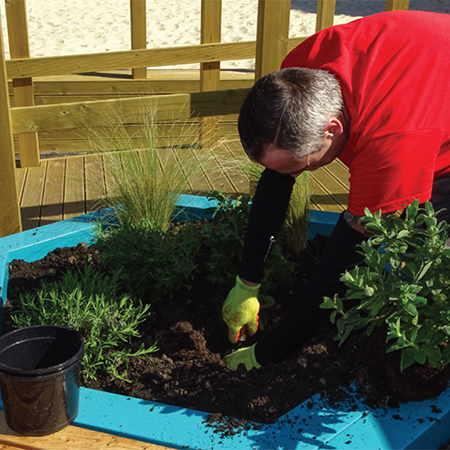 These planters have been donated to Bankside Open Spaces Trust (BOST) who coordinated the regeneration of Marlborough Sports Garden and will continue to manage it. MEDITE® TRICOYA® EXTREME (MTX) was chosen for its exceptional capabilities to be extremely hardwearing in outdoor conditions, even in contact with soil for up to 25 years. It’s also sustainably manufactured in the UK, using FSC certified wood. The planters now sit along the edges of Marlborough Sports Garden, filled with live trees and plants which were kindly donated by Palmstead Nursery in Kent. Between MEDITE SMARTPLY’s partnership with The Edible Bus Stop and BOST’s ongoing agenda to develop communities and make the London SE1 area a greener, friendlier place to live, Marlborough Sports Garden has been transformed into a design-led, active space, with an ecological, community preoccupation.